Best chance: Ibis Du Rheu EW. Has a sporting each way chance though I’m not nearly so confident now the ground has become even more testing. 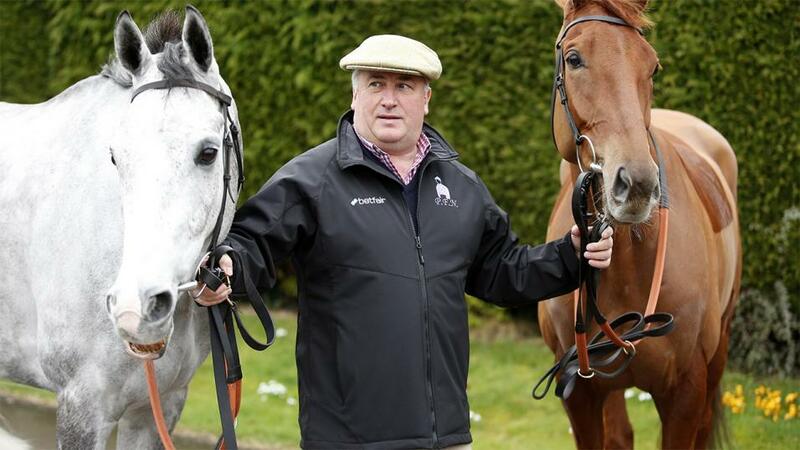 Put up a career best performance in the Pertemps Final at Cheltenham, staying on willingly to finish third for which he has been raised two pounds to a mark of 138. He acts on soft ground, has been fine at home since the Festival and should go well again in this highly competitive handicap. Diego Du Charmil is a really smart horse who was always going to be a chaser and was so unlucky to fall three out at Ascot last time when he looked set for victory. Bryony Frost said that Diego was running away with her at the time, over jumped and crumpled on landing. If he'd stood up and won that day I imagine he'd have been raised seven pounds and I would have been looking at handicaps for him at this meeting. He is normally a sound, accurate jumper and though the ground is softer than he wants he deserves a shot at this Grade 1 race we won last year with San Benedeto. Needed his comeback run at Newbury in the mud in February and took a big step forward last time at Cheltenham where he travelled really well and looked sure to finish in the money until a mistake at the last fence. If he'd winged that fence Ibis Du Rheu might well have been second or third behind Mister Whitaker. This longer trip is more suitable for him though I would be more confident of a decent show from him if the ground was not so soft. I debated for days whether to run Old Guard in this or in Thursday's Aintree Hurdle over two and a half miles. In the end I decided this longer contest was the easiest of the two with quite a few of the big runs running on Thursday. While I don't know for sure that Old Guard stays three miles, he has won over two miles, four and a half miles at Newbury and was staying on strongly in the Lanzarote Hurdle at Kempton last season. Harry Cobden, who knows him so well, has always said he wants three miles and it helps that he comes fresh to this after missing Cheltenham to wait for Aintree. But rain on Friday morning on ground that was already soft is not good news for Old Guard. At declaration time on Thursday morning I was hoping for much better going for him. Was bought recently by Vicente's owner Trevor Hemmings with the Grand National in mind and brings solid form to the task. He jumps and stays well, handles soft ground and was unlucky to be chinned in the last few strides of the Sky Bet Chase at Doncaster in January after looking sure to win going to the last fence. Warriors Tale hasn't run since then because he is so much better fresh and I've had this race in mind for him all season. Sean Bowen has great confidence in this horse who is a progressive staying chaser and could be a lively outsider in a typically open Grand National. I was looking forward to running Amour De Nuit in this but am having second thoughts after all the rain that fell on Friday morning as he doesn't want it bottomless. He has been a model of consistency this season, progressing well. I'll make a decision on whether to let him take his chance in the morning after monitoring conditions.